After driving for six hours, I finally reached Tempe, Arizona. Tomorrow, my sister and I will be participating in the 2011 Business Growth Expo, our first Business Expo and we’re excited. We signed up to be an exhibitor last month and have no idea what to expect. We have spent countless hours preparing for the experience and are excited to meet with other small businesses in the Phoenix area. For those of you interested in attending, the show takes place Tuesday, November 8 from 1:00 pm to 7:00 pm at the Fiesta Resort & Conference Center, 2100 S. Priest Dr., Tempe AZ 85282. We received a packet with information about the show which provided tips on how to get the most out of the expo. The tips seemed very helpful and we plan on implementing a lot of them at the event. If you stop by our booth you can expect to see a visual presentation of the services we provide, an opportunity to win prizes, and free consultations on ways to increase your online presence. Stop by and say “hello” if you plan on attending. We’d love to help you or your company connect with people using Social Media. At Welborn Social Media, we love discussing social media with all different types and sizes of businesses. If you’d like us to present to your business, organization, group or discuss social media with you, please let us know. This is from an email we sent out to Vendors from the approaching Scrapbook Expo in Ontario, CA. The Expo is happening November 3rd and 4th at the Ontario Convention Center. We’re hoping we can help some of these businesses with Social Media tips and consultations. Zeb and Lacey Welborn, the sibling team from Welborn Social Media, will be available at the Thursday meeting to discuss Social Media and answer any questions you may have. They work with several companies doing everything from running Facebook pages and writing blogs to doing web and graphic design. Zeb Welborn got into Social Media after he started his own tutoring company. Wanting to gain more customers, he devoted his time and energy into learning the ins and outs of Social Media. Lacey Welborn is the creative force at Welborn Social Media. 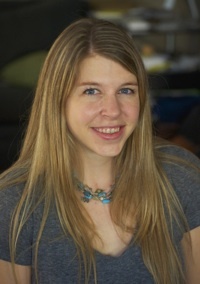 Besides staying up to date on the latest best practices for Social Media, she also does web and graphic design. When I first talk to business owners about Social Media, most realize Social Media is benefiting other businesses, but do not understand how it can help theirs. Each business is unique and it is important for each company to determine whether or not to use Social Media based on the goals it has established for its business. If you’re looking for the quick answer to the question, feel free to scroll down to the bottom, but I would like to share with you some examples of how and why businesses started using Social Media. My sister met Grandma C at an event put on by the Arizona Small Business Association in Tempe, Arizona. She was very interested in the possibility of using Social Media to promote her cookie making business. Grandma C was retired and wanted her business to earn some extra income. She loved baking and built her business in her kitchen. The Goal: Grandma C had no desire to expand her staff. She wanted to be making cookies and sharing her baked goods with the local community. The Answer: Lacey suggested that using Facebook would be a great way to develop a relationship with the local community. She encouraged Grandma to try and get each of her new customers to join her Facebook page. 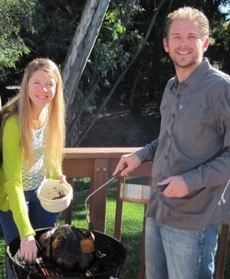 Then, when she had free time, to post photos and share her thoughts, ideas or inspirations regarding her baking. Richard McKinnon III, the President of System 1 Acoustic Ceiling Removal fell on rough times when the economy started to nose dive in 2007. Richard was a fixer and when he started getting less business, his solution was to invest more in advertising to generate new business, cutting into his bottom line. The money he spent in advertising for his products was not coming back to him the way it did pre-recession. Richard does not have time to devote to increasing his Social Media presence because he is constantly out on the road giving bids to home-owners across Southern California. The Goal: Richard has enormous responsibilities to his family and the people he employs; he needs to keep his business afloat and continue to provide for his family. He knows his business is the best in the area and wants to maintain his business until the economy turns around. The Answer: We worked with Richard to create a Social Media campaign that incorporates a blog and Facebook. The Facebook page is designed to reach out to potential customers who are homeowners and existing customers. The blog is designed to allow users to find System 1 using search engines like Google or Yahoo. WireSpeed Systems buys and sells new, used and re-furbished computer networking equipment to companies and individuals all over the world. The Goal: The market for computer networking equipment is highly competitive and WireSpeed Systems was looking for a leg up on its competition. The Answer: We worked with them to enhance their Social Media presence on Facebook, Twitter and LinkedIn. Any person or business who is in a similar industry or who is interested in the products offered by WireSpeed Systems can find them easily on any of those platforms. As a result, WireSpeed Systems has generated more leads and a better opportunity to convert those leads to sales. They are also connecting with their customers in a more engaging and interactive way. I started tutoring students in 2009 and had generated a small clientele. Tutoring is not the most lucrative business, but I really wanted to help students succeed in school, so it was a perfect fit for me. At the beginning of the school year in September, 2010, I decided to start a website and try to build my tutoring business using Social Media. The Goal: To expand my business to help as many students possible succeed in the classroom in Southern California. The Answer: Before I started using Social Media, I had roughly four students that I tutored regularly and all were referred to me by word of mouth. Today, a little over one year after my Social Media experiment started, The Tutoring Solution has worked with 63 students on a consistent basis. During that time, I have had to hire 17 tutors and my client base is continuing to grow. If you want your business to expand, you have to use Social Media. If you want your business to survive, you should use Social Media. And if you want your business to die, you should stay away from Social Media. 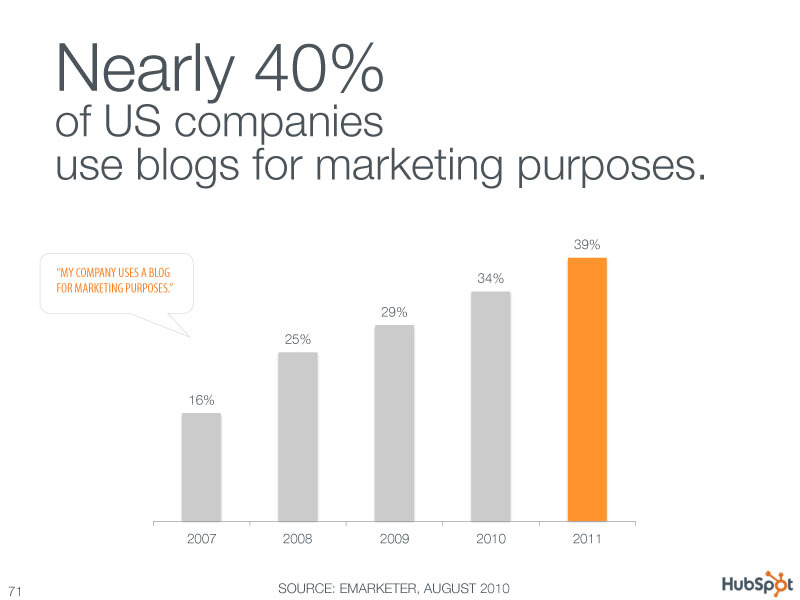 In a chart designed by HubSpot, based off of information from EMarketer, the amount of companies that used blogs has more than doubled from 2007 from 16% to 39% in 2011. Every Social Media site has seen a massive increase in the amount of companies that are using these tools to generate more business. If you are not one of these companies, you are getting left behind. The real question you should be asking yourself is not whether or not you should be using Social Media, but whether or not you should pay someone else to do it. It doesn’t make sense for Grandma C’s Cookies to pay someone else to do Social Media since she wouldn’t be making enough revenue to pay for someone to do Social Media for her. Nor did it make sense for me to hire someone to do Social Media for my tutoring business, since I had no money to spend on advertising of any kind. But, because I took the time and initiative to start a Social Media campaign on my own, my business thrived, just like Grandma C’s will if she does it right. For any company that spends money in advertising it makes sense to devote money towards expanding your Social Media presence. Unlike Newspaper, TV, or Pay-Per-Click Advertising, you can reap long-term benefits from using Social Media. All the “Follows”, “Likes”, and “Connections” your company receives are likely to stay and can be reached out to at any time. 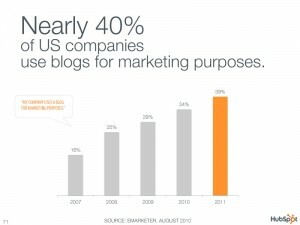 All blog articles that are written will be available for users to find, months, years, and decades down the line. The Answer: Social Media is essential for any business, regardless of the industry and the goals of the company. Deciding on whether or not to pay for someone to run Social Media for you is the only question your company should be asking. We can develop and implement a personalized Social Media strategy for any company. If you think Social Media is something you’d be interested in finding out more about, please contact me, Zeb Welborn at (909) 973 – 9089 or WelbornSocialMedia@gmail.com to discuss ways Social Media can benefit your business. On November 8th we will be attending the Business Growth expo at Fiesta Resort in Tempe. I put together a webpage about the event. Please visit: WelbornSocialMedia.com/BusinessGrowthExpo for all the information. If you’ll be attending the expo send us a message or contact us before the expo, we’ll review your current Social Media activities and tell you ways to improve your internet presence. Leave a comment if you’ll be at the expo. We’ll look for you. My sister and I were unemployed and living at our parents home. My life had completely changed, I had gone through a difficult divorce and left my full-time teaching job. Lacey had been working an exhausting job as a video editor at a local news station when they cancelled her show. In February 2009, I began tutoring my first student and found I really enjoyed the sense of accomplishment that came along with developing students in a one on one setting and experienced a lot of success. Referrals came freely and my schedule became very full. I decided to expand. Lacey went back to school, taking graphic design classes and had been learning website design on her own. I asked if she would help me with my business. She created The Tutoring Solution logo and built a website. When the website went up, almost immediately, people began to find us online. For months we added content to our website; using blogs, pictures and videos. But, I also wanted to direct people to my website and needed to find an inexpensive way to do that. Facebook and Twitter provided me with a free way to promote my business. That’s when The Tutoring Solution took off. My sister and I attributed our success to our efforts in Social Media. We did more research and began to attend classes, read articles, communicated with successful companies and kept up to date on best practices for Social Media. Jennifer Davis from Scrapbook Expo was the first business owner we talked to about developing a Social Media campaign for their brand. Jennifer was already active on Facebook and had generated a massive following. I asked her if she would be willing to let me run a Twitter campaign for her company. Welborn Social Media was born. Many other companies began hearing about us through a variety of different avenues. Currently we do Social Media and graphic design work for the Creative Scrapbook Source, DLT Growers, Los Serranos Country Club, Scrapbook Expo, System 1, The Tutoring Solution and WireSpeed Systems. Our story has only just begun. Our mission is to build connections for our clients with potential customers and develop stronger relationships with current customers and to help their business grow. If you’re looking to expand your business, schedule an appointment with us today. We will work with you to create a personalized plan designed to help your business grow.